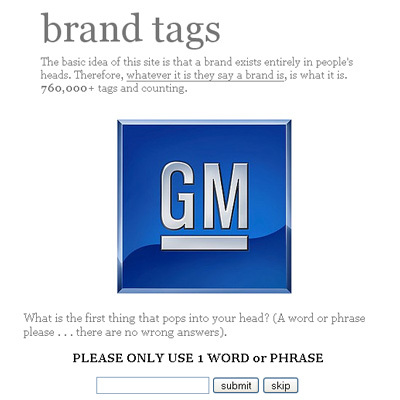 I stumbled across the brand builder blog and got hooked into the brand tags by Noah Brier. It sure is! I love the fact that you can go in and see what other people have added as a tag.